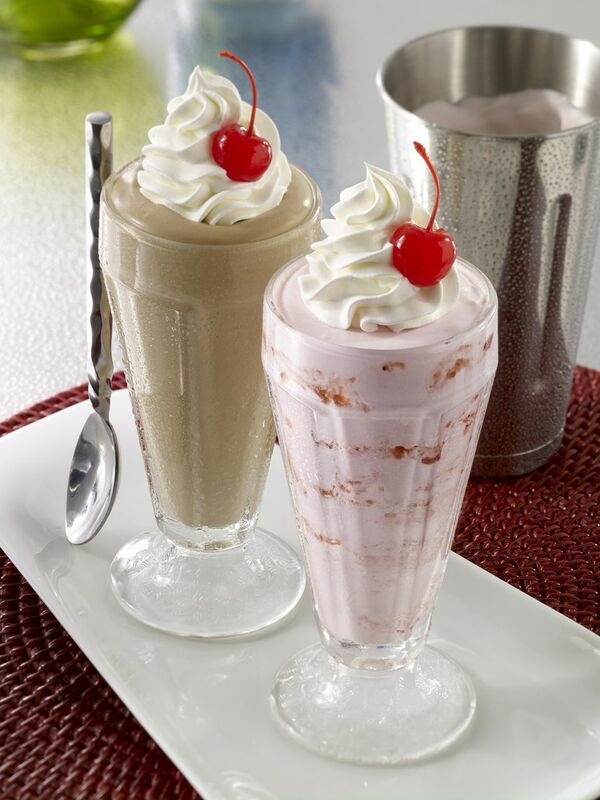 Why go out to an ice cream parlor for milkshakes when you can make your own milkshakes at home with these easy recipes? I'll show you the basic milkshake recipe, then give you 16 variations to try yourself. That's it! Just place those two ingredients in a blender with any flavorings, like syrups, spices, fruit, nuts, etc. and give it a whir. Don't overmix - you want your milkshake to be thick. And serve immediately.